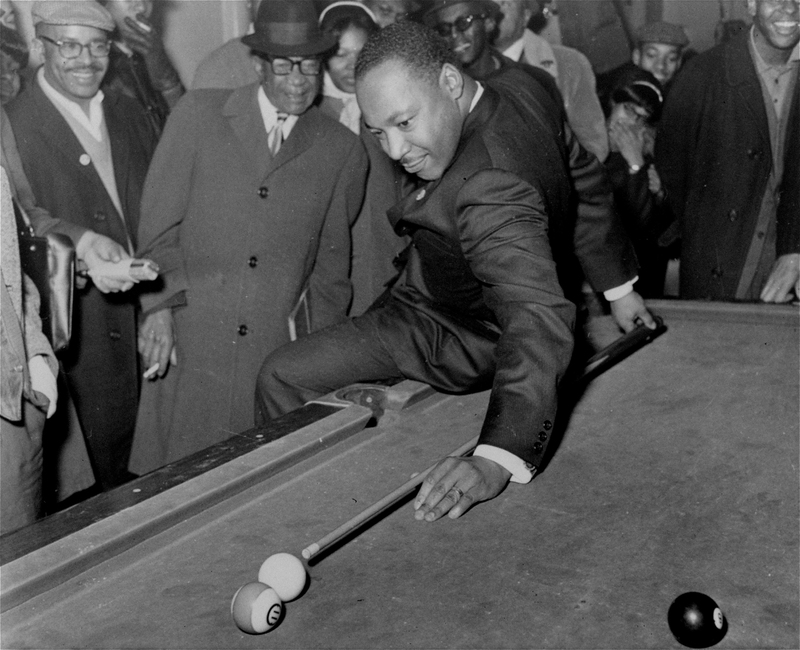 Many will mark Monday’s Martin Luther King Jr. federal holiday by watching televised basketball, especially the NBA, which is scheduled to play nine games. Indeed, as is the case on Christmas Day, Monday’s NBA basketball will be a gift that keeps on giving. That’s fine with me. The rhythmic dribbling on the basketball court always reminds me of the influences of the African drumbeat in America, ragtime to hip-hop and NBA basketball. Further, watching great ball handlers such as Golden State Warriors guard Stephen Curry make their way to the hoop reminds me of the deft dance black America does with anti-black racism to reach its goals. And watching Monday’s dominance by black players in the NBA reminds me how wrong conventional (white) wisdom can be about black people, especially when that supposed wisdom is rooted in facile and incorrect stereotypes, such as black players once being dismissed as too slow to play big-time basketball. Continue reading Don’t forget to keep at least one eye on the prize today! 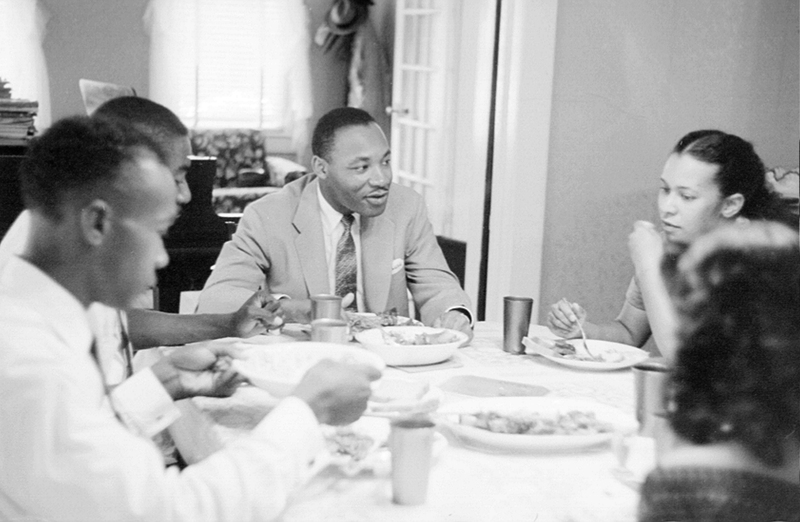 MONTGOMERY, AL - MAY 1956: Civil rights leader Reverend Martin Luther King, Jr. relaxes at home with his family in May 1956 in Montgomery, Alabama. 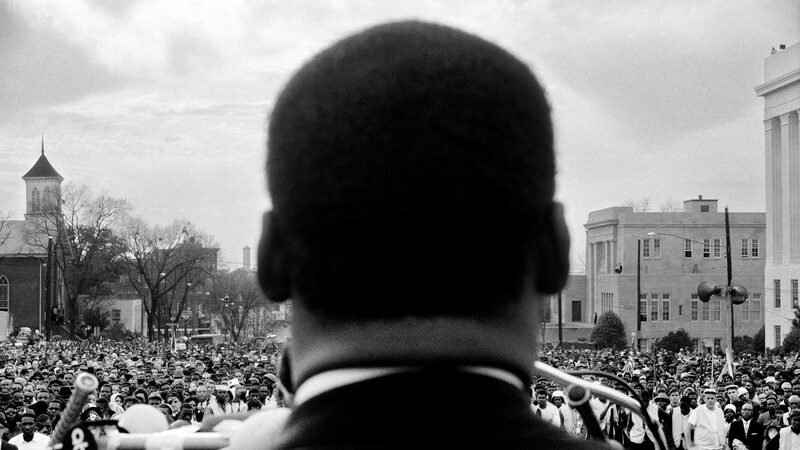 Dr. Martin Luther King, Jr. seen close from the rear, speaking in front of 25,000 civil rights marchers, at the conclusion of the Selma to Montgomery march in front of Alabama state capital building on March 25, 1965. In Montgomery, Alabama. 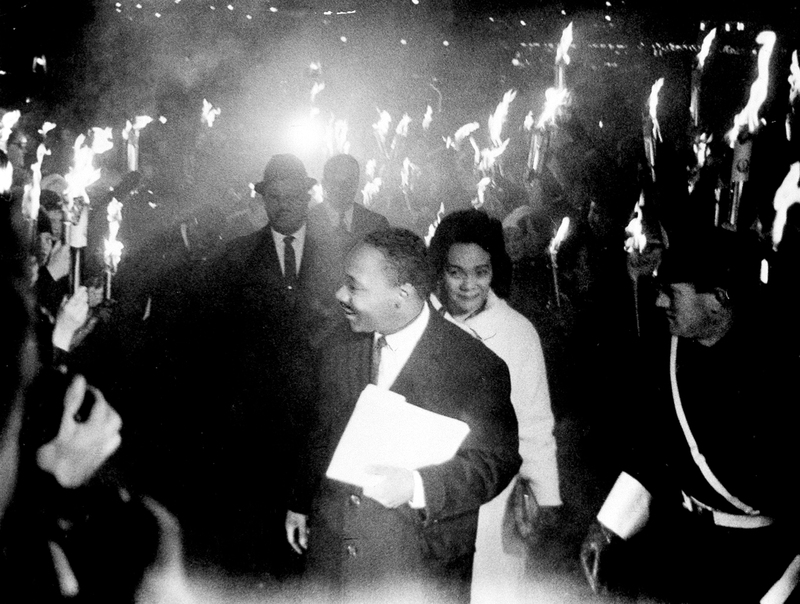 Through the smoke and fire from hundreds of torches walks American civil rights leader and Nobel Peace Prize winner, Dr. Martin Luther King Jr., as he arrives with his wife Coretta to deliver the traditional address at the University of Oslo Festival Hall, on December 11, 1964. Behind the reverend walks Rev. Ralph Abernathy, King's closest associate. 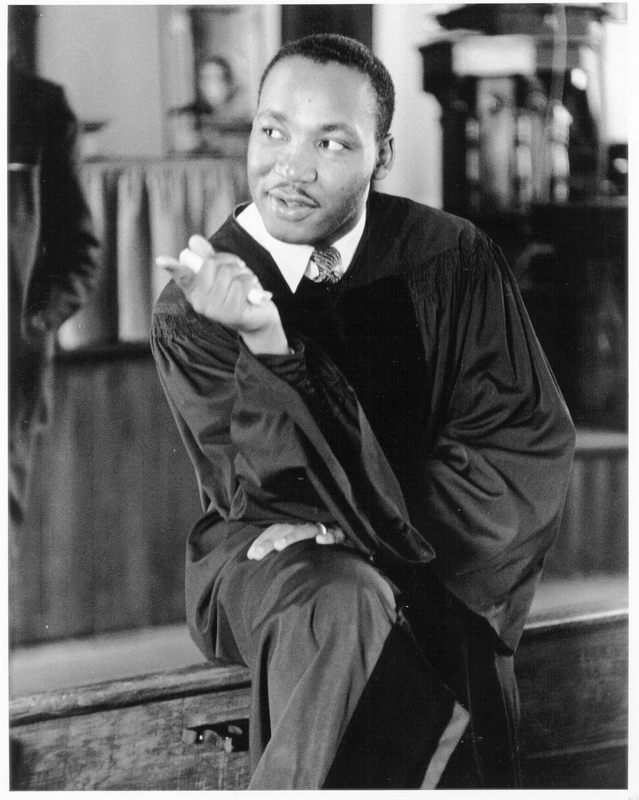 MONTGOMERY, AL - MAY 13: Civil rights leader Reverend Martin Luther King, Jr. delivers a sermon on May 13, 1956 in Montgomery, Alabama. 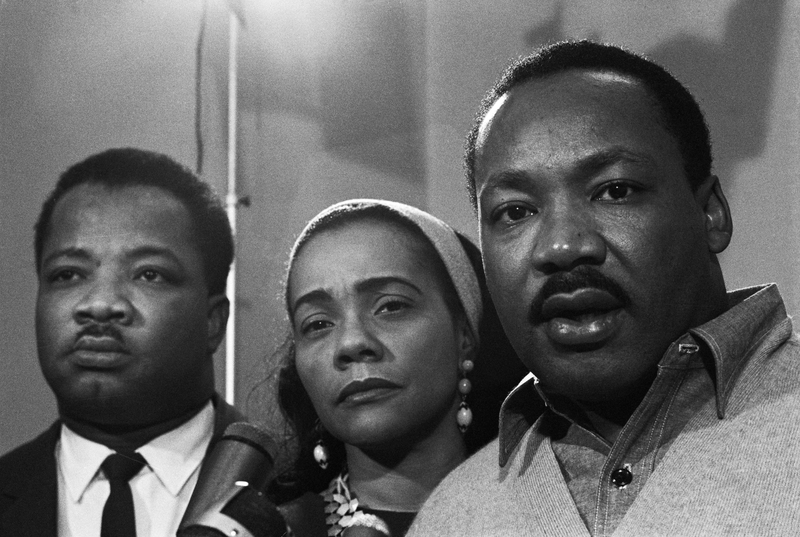 (Original Caption) 10/30/1967-Atlanta, GA: Dr. Martin Luther King (R), his wife, and King's brother, Rev. 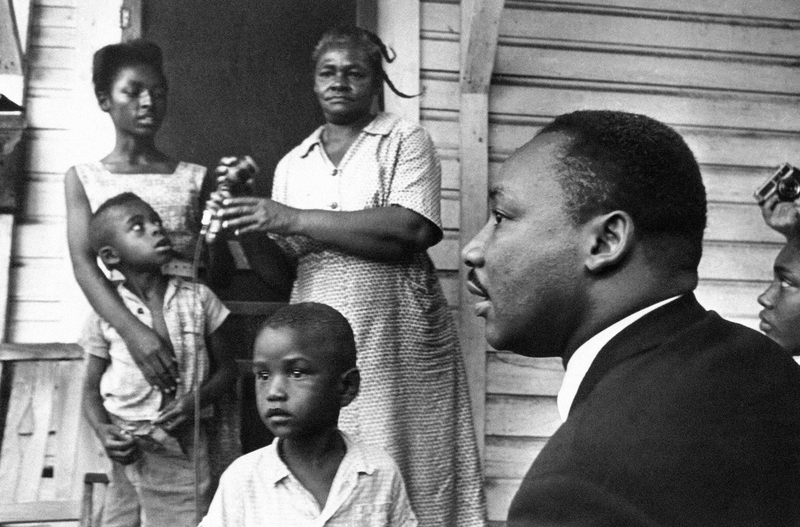 A.D. King, answer newsmen's questions at the airport as the civil rights leader departs for Birmingham to begin serving a five-day jail sentence in connection with the 1963 demonstrations in the Alabama city. 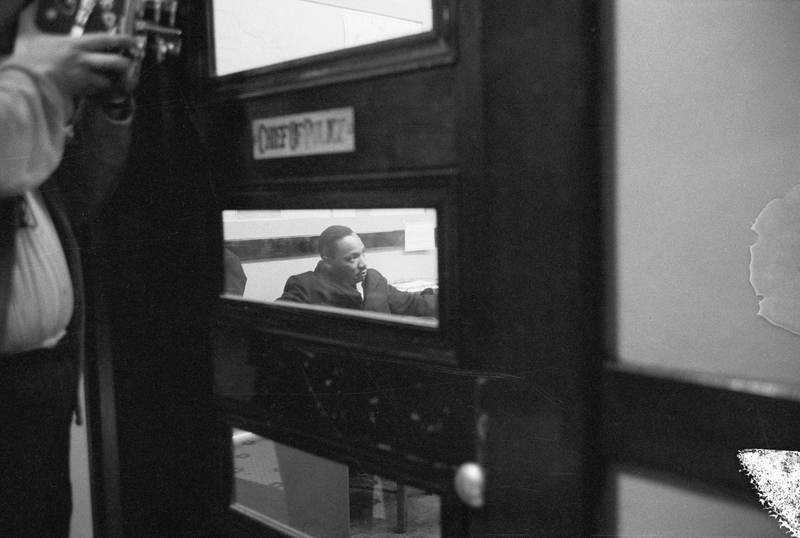 After being arrested during a civil rights march, Reverend Martin Luther King waits in the Chief of Police's office in Albany, Georgia. 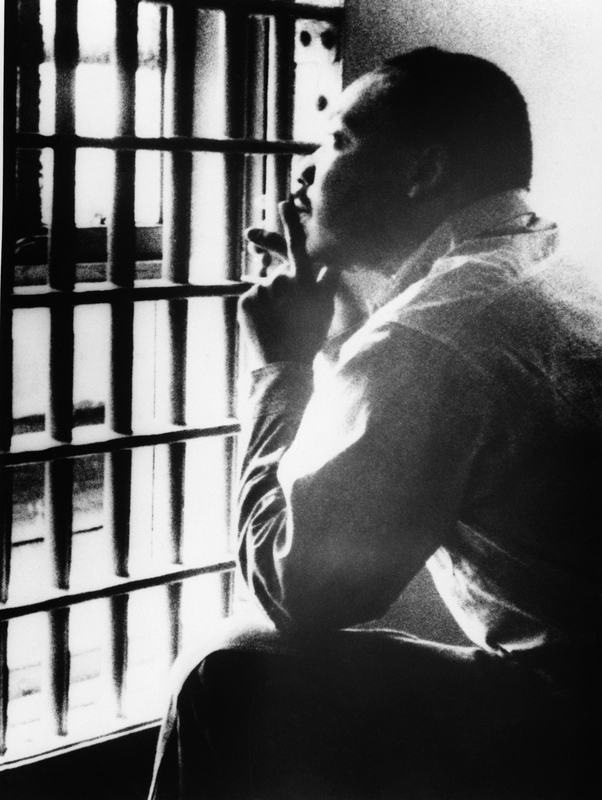 Civil rights leader Martin Luther King Jr. sits in a cell at the Jefferson County Jail in Alabama. 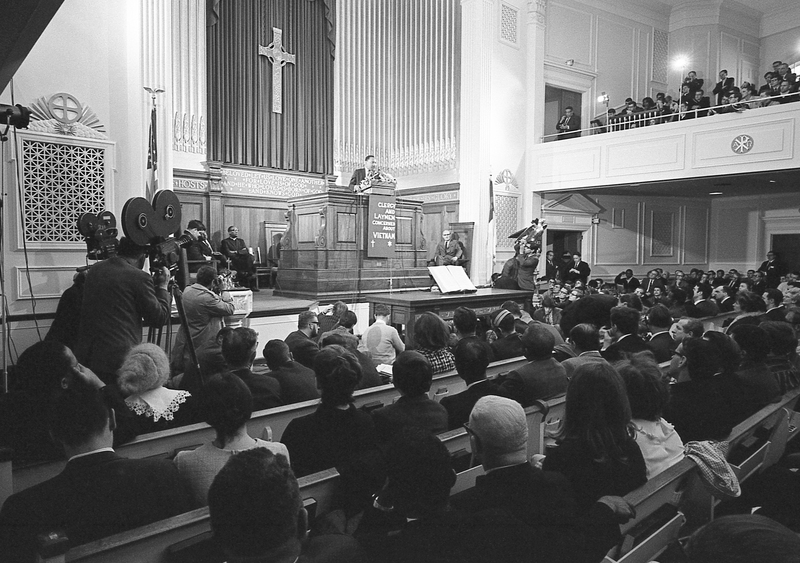 American Civil Rights leader Dr. Martin Luther King Jr (1929 - 1968) speaks from a lecturn at the New York Avenue Presbyterian Church, Washington DC, February 6, 1968. 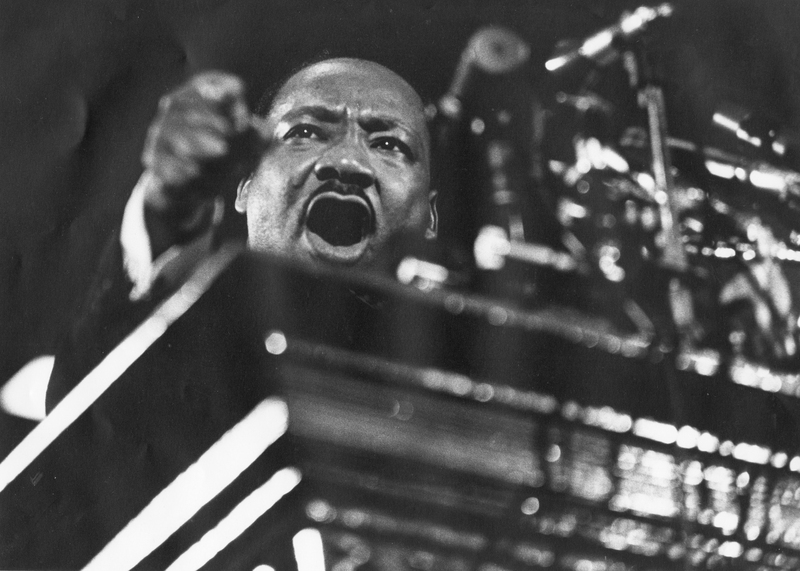 Dr. King, invited to the church as the national co-chair for the 'Clergy and Laymen Concerned About Vietnam,' spoke about ending the war in Vietnam. 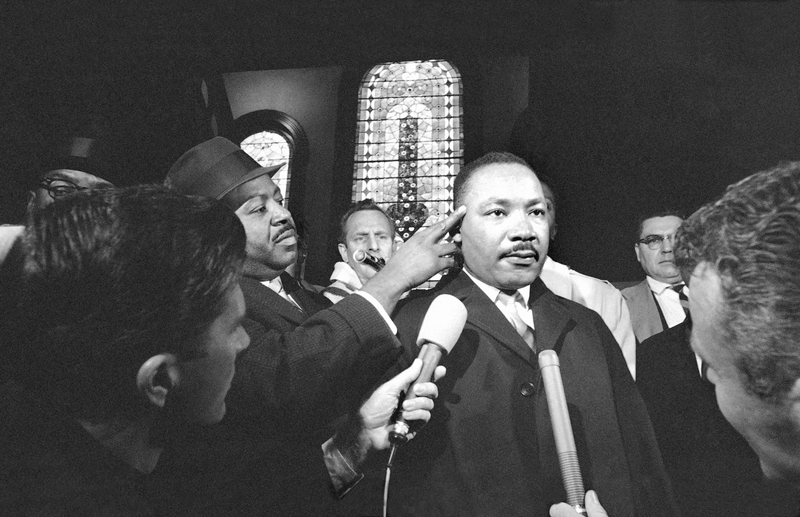 WASHINGTON, DC - FEBRUARY 1968: Martin Luther King speaks at Vermont Avenue Baptist Church February 1968 in Washington, DC. 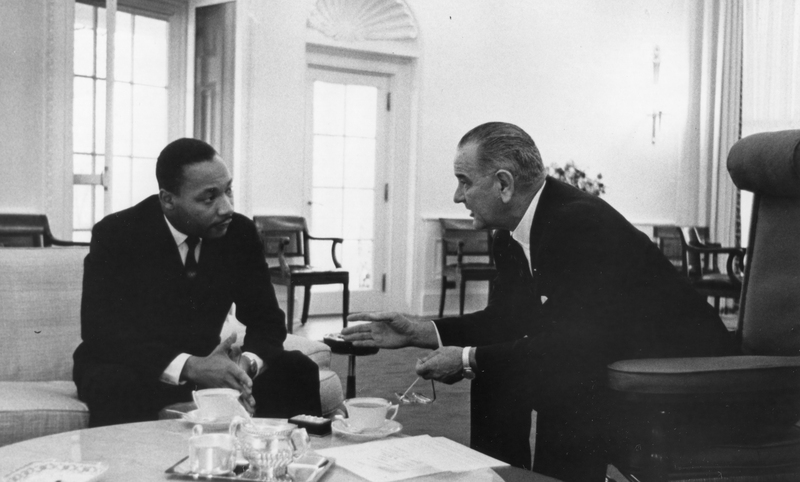 President Lyndon B Johnson with US Civil Rights leader Dr Martin Luther King Jr at the White House,Washington DC, December 1963. 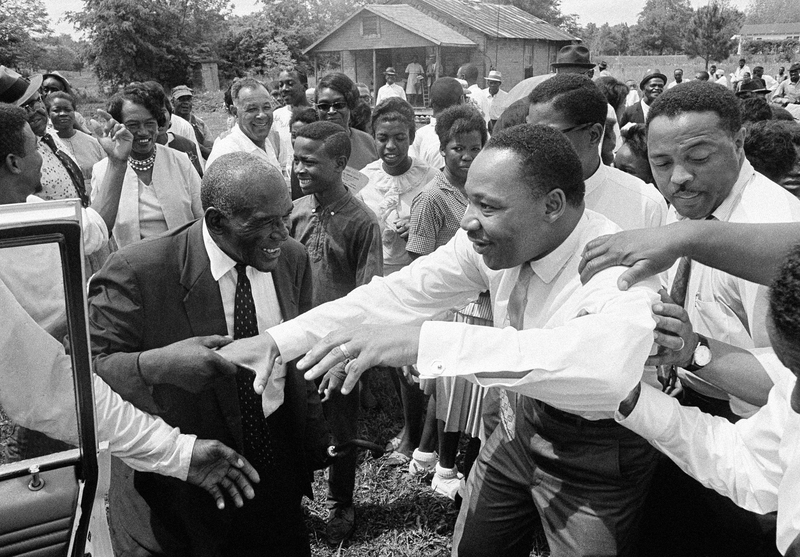 Dr King, head of the Southern Christian Leadership Conference, was one of the civil rights leaders who consulted with the new president. 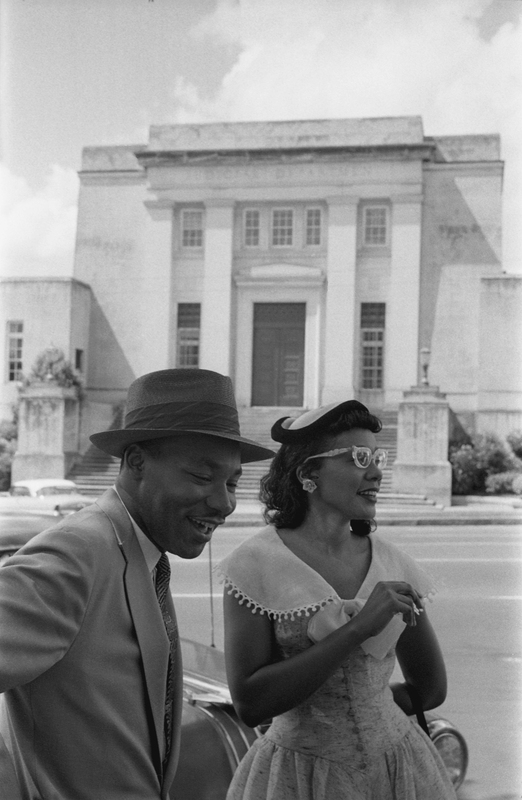 MONTGOMERY, AL - MAY 1956: Civil rights leader Reverend Dr. Martin Luther King, Jr.and his wife Coretta Scott King pose for a photo across the street from the Alabama Judicial Building in May 1956 in Montgomery, Alabama. 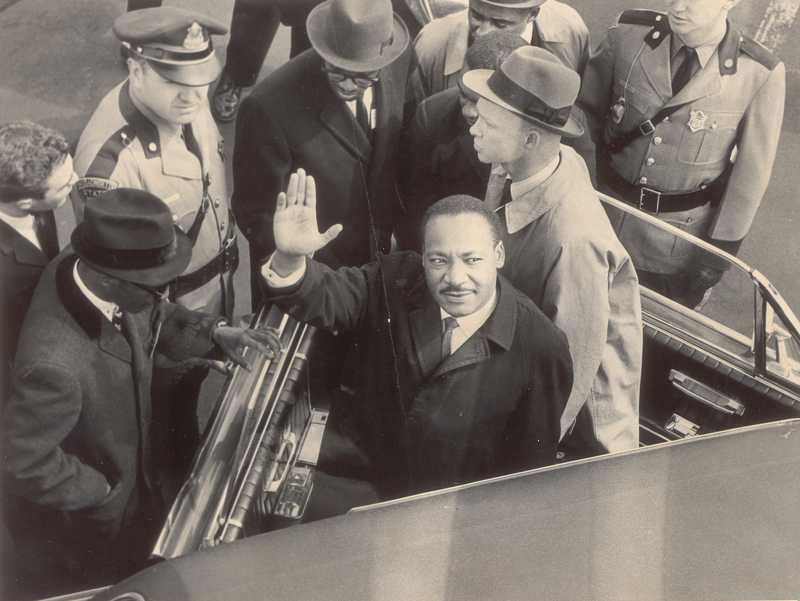 BOSTON - APRIL 22: Martin Luther King, Jr. enters a car at Logan Airport to ride to the State House, April 22, 1965. 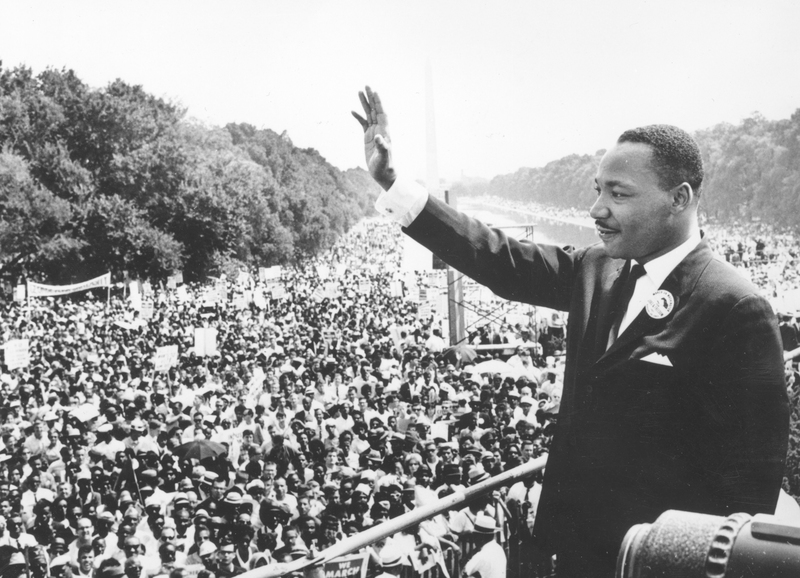 Dr. King led a march through the city to protest segregated housing conditions and racially imbalanced schools, and spoke at Boston Common and the State House during his visit. 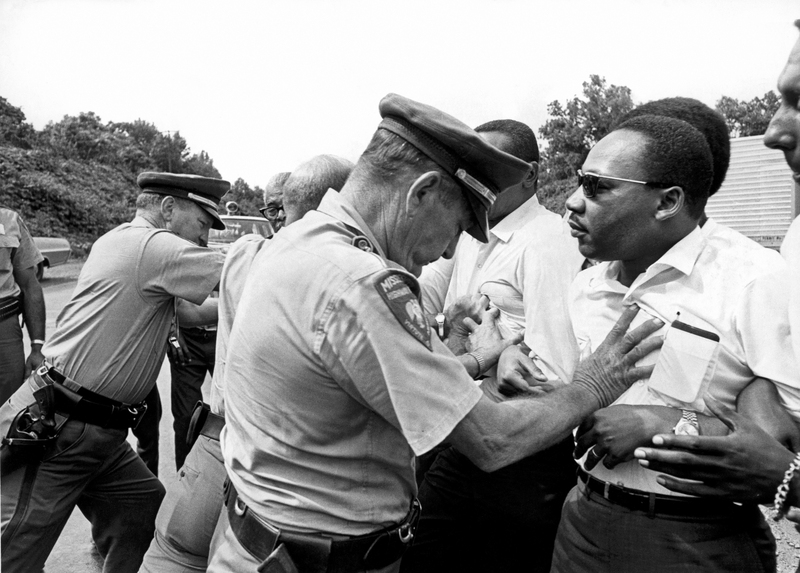 Dr. Martin Luther King being shoved back by Mississippi patrolmen during the 220 mile 'March Against Fear' from Memphis, Tennessee to Jackson, Mississippi, Mississippi, June 8, 1966. 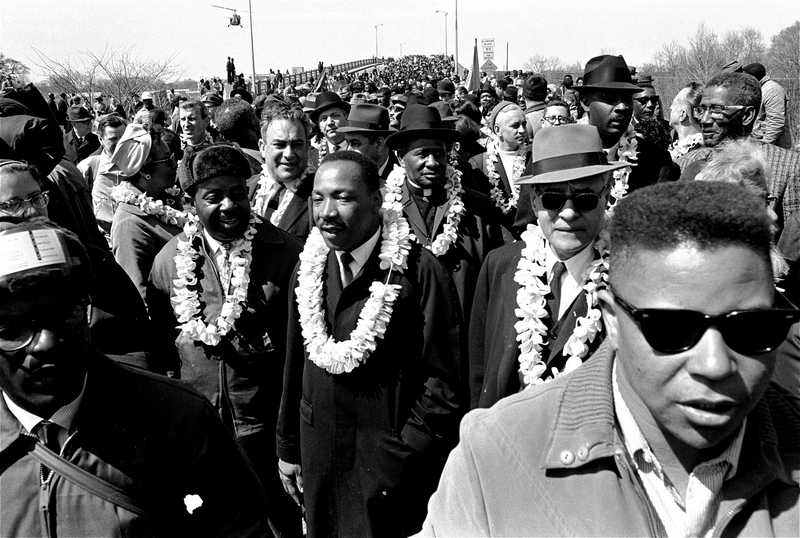 Portrait of the American Baptist Martin LUTHER KING Jr. on a trip to Paris. 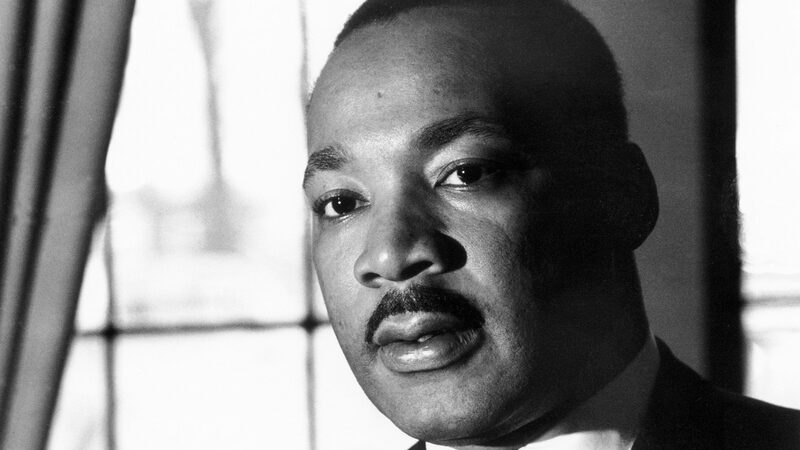 He received the Nobel Peace Prize in December 1964 for his peaceful action to obtain civil rights for African Americans in the USA. 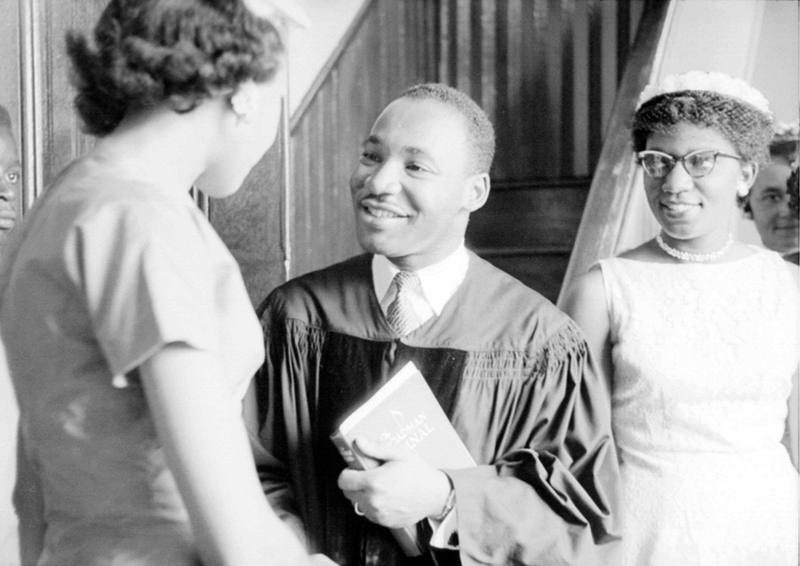 23rd May 1961: American clergyman and civil rights campaigner Martin Luther King (1929 - 1968) (centre). 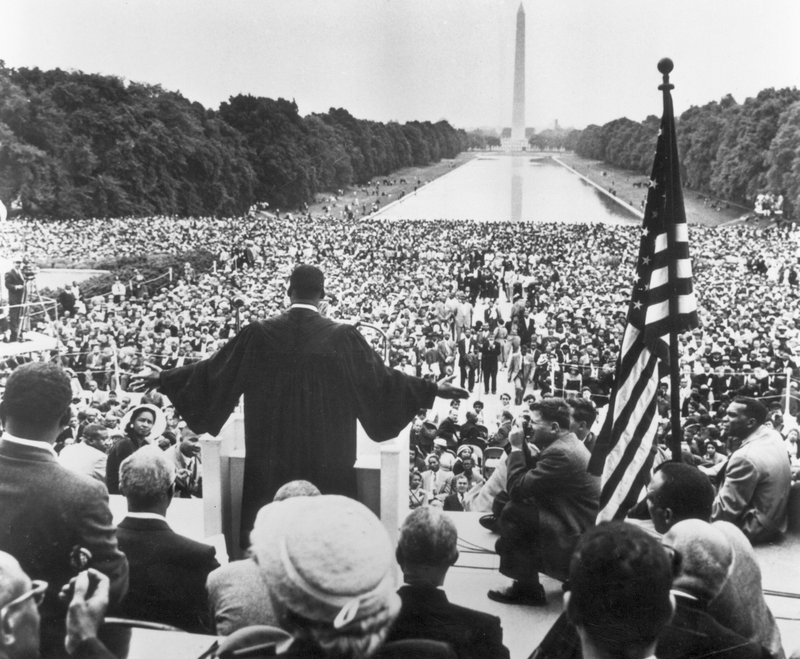 17th May 1957: Back view of American civil rights leader and Baptist minister Martin Luther King, Jr. (1929 - 1968), dressed in black robes and holding out his hands towards the thousands of people who have gathered to hear him speak near the Reflecting Pool in Washington, DC during the Prayer Pilgrimage. The Washington Monument can be seen in the background. 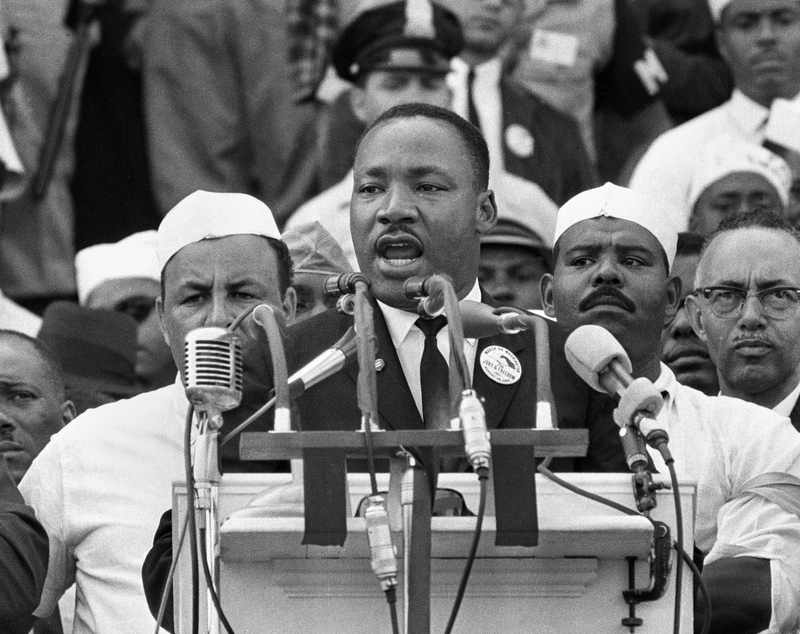 FILE - In this Aug. 28, 1963 file photo, Dr. Martin Luther King Jr., head of the Southern Christian Leadership Conference, addresses marchers during his "I Have a Dream" speech at the Lincoln Memorial in Washington. 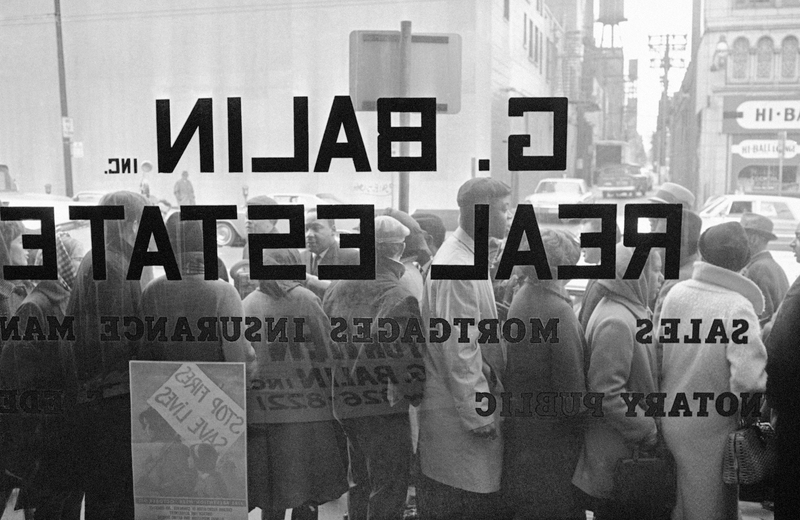 Dr. Martin Luther King Jr., bareheaded, is pictured outside G. Balin Co. real estate office window in Chicago, Nov. 3, 1966. 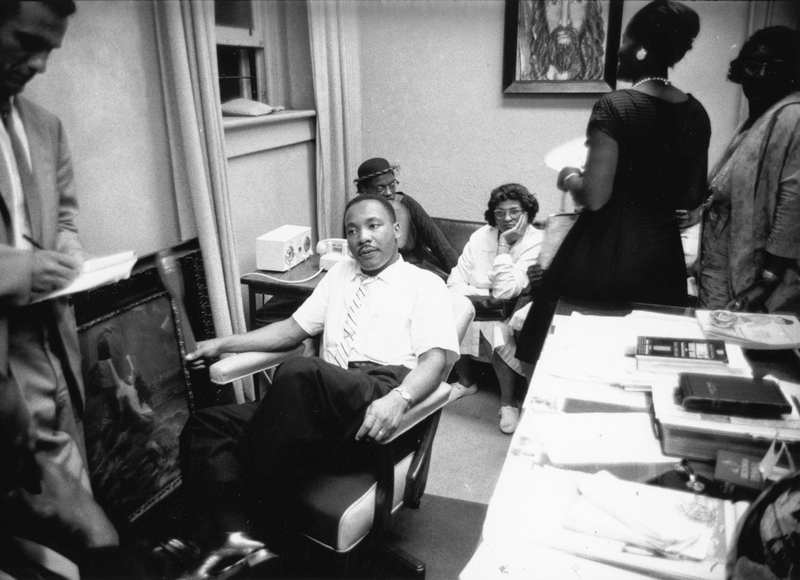 The civil rights leader entered the office and discussed slum conditions with firm's head, Gilbert Balin. The Rev. 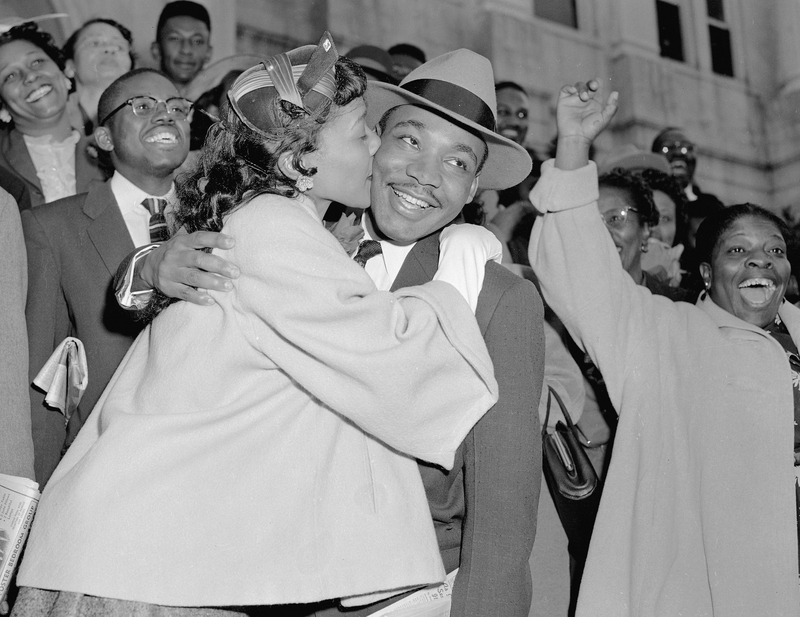 Martin Luther King Jr. is welcomed with a kiss by his wife Coretta after leaving court in Montgomery, Ala., March 22, 1956. King was found guilty of conspiracy to boycott city buses in a campaign to desegregate the bus system, but a judge suspended his $500 fine pending appeal. WASHINGTON, DC - JANUARY 19: Early morning light shines on the Martin Luther King Jr. Memorial on the National Mall on January 19, 2015 in Washington, D.C. 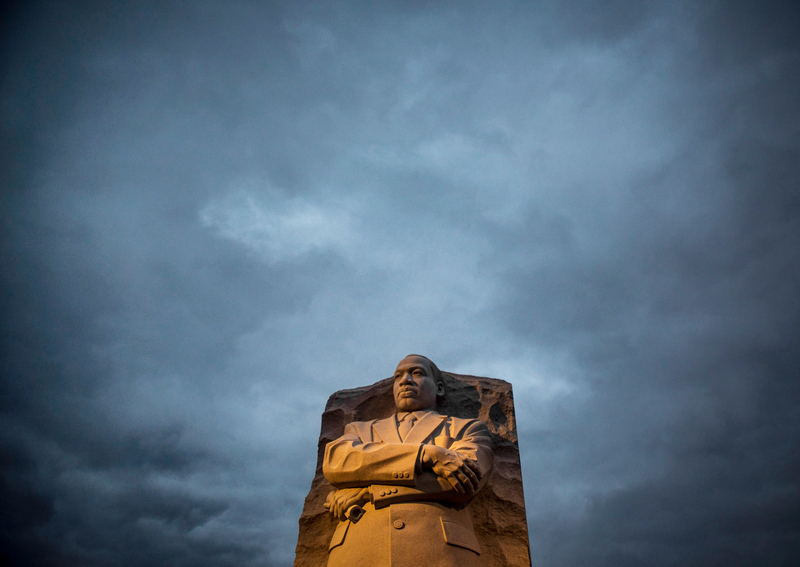 Visitors gather at the Martin Luther King Jr. Memorial to celebrate MLK day.